Orchestre Partout combines music of all sorts into a diverse world-repertoire that excites and moves. The band-composition reflects the conflict area’s in the world. Musicians have recently fled to The Netherlands, together they form a colorful band. Music is a language that unites, regardless of origin, culture and language. From this idea Ted van Leeuwen started the first music workshop in 2010, in refugee center Alkmaar. In 2016 Orchestre Partout became an independent foundation. Over the years, Ted and a diverse team have developed a successful methodology. Orchestre Partout organises weekly music lessons and rehearsals inside the refugee centres in Amsterdam and Heerhugowaard. The music workshop is a lively meeting place in the center. Professional musicians teach guitar, piano, percussion and singing. As soon as participants reach a solid basic understanding of music, they are invited to join in band rehearsals and concerts. The music workshop are a structural activity in the refugee center. Besides its regular activities, Orchestre Partout organizes an annual Laboratory Project, in which musical interaction is key. Thus, the bands repertoire is nourished, and experienced band members get the chance to get a deeper musical understanding. At the same time these collaborations create a new audience. Orchestre Partout is a nursery for musical talent. In the three-stepped program (lessons-rehearsals-concerts) refugees can develop their musical skills. Some bandmembers have found their way to the Conservatory of Rotterdam, or have started a professional career. Ted van Leeuwen is founder and artistic director. Ted is an all-round musician, composer and theatre maker. He developed his craftmanship as composer and musician during his years with Dogtroep. He currently teaches music in school, and gives occasional workshops for Conservatory and groups of non-professionals. Titia Bouwmeester is executive director and creative producer. She is in charge of the daily management, fundraising and creating and maintaining a network of cultural and social partners. Lex Pantelic is guitar-player, workshop leader in Heerhugowaard and main arranger. Modar Salama is percussionist and music teacher in both Heerhugowaard and Amsterdam. Ziad Haji Bik is ud-player, singer and band-coach in Amsterdam. Annemiek Klever does the concert bookings. The ‘Centraal Orgaan opvang Asielzoekers’ (COA) hosts Orchestre Partout, and accommodates with working space and internal communication. ‘Stichting De Vrolijkheid’ develops creative activities for children and youngsters in the refugee centres. Where they focus on minors, Orchestre Partout focuses on adolescents and adults. We exchange experiences, and refer participants to one another’s workshops. We have cultural partners in the cities where we work, with venues where we do regular concerts. In Amsterdam ‘Pakhuis De Zwijger’ and in Alkmaar ‘Hal 25’. We have just moved from Alkmaar to Heerhugowaard and are currently building on our local network. 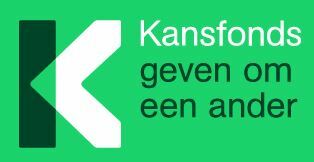 Orchestre Partout Amsterdam is made possible by generous support of: Amsterdams Fonds voor de Kunst, VSB, KANSfonds, Prins Bernard Cultuurfonds Noord-Holland, Fonds Cultuurparticipatie, Fundatie Van den Santheuvel, Sobbe, Gemeente Alkmaar, Gemeente Heerhugowaard, Gemeente Amsterdam, stichting 5eKwartier and through individual gifts that reached us through Voordekunst.